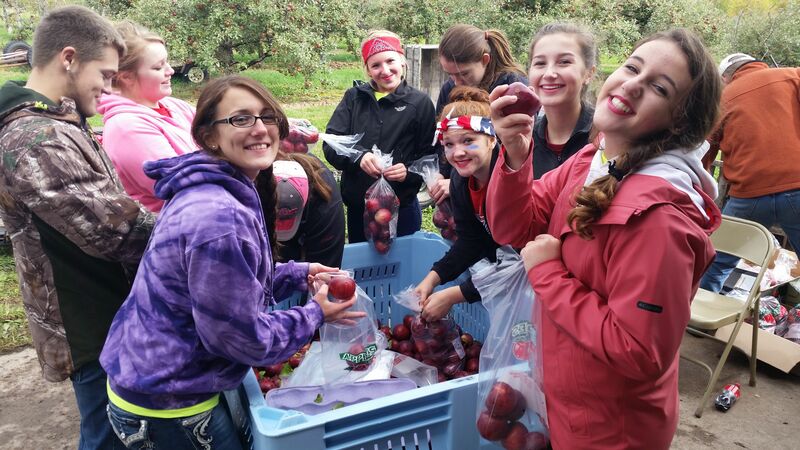 The FFA went to the Timberland Hills Orchard & Gardens on September 29. The members who went helped pick and package apples. 26 members attended. We brought back our own apples to sell, some in bags of 10-12 apples, and individuals apples. With the individual apples our FFA club decided to sell caramel apples for a fundraiser. We sold 65 bags of Honey Crisp apples which were $10 and 50 bags of Cortland that were $5. We sold caramel apples during lunch period and during the homecoming game where they were a big hit. We hope to make this fundraiser an annual one. The National FFA Convention was held in Louisville Kentucky Oct. 22nd - Oct 25th.